In a recent post, I started exploring Steve Mildenhall’s observation that the property-casualty industry is grappling with a problem of “disappearing risk.” More precisely, he observed that losses are declining in relation to the economy. Safer cars, better fire prevention, tort reforms, and other trends have all conspired to drive loss frequency and severity down over the past 25 years. Part of the solution, as Steve suggested, may lie in expanding coverage of property catastrophes. In particular, in the US, a relatively small portion of earthquake and flood risk is currently being absorbed by insurers. Could this change? Expansion would continue a long-term trend which played an important role in solving the industry’s last major confrontation with the scourge of disappearing risk. In 1900, when most of the book was fire insurance, the industry seemingly stood on the verge of a precipice. Urban (peacetime) conflagration was about to become a risk of the past. On the property side, the problem was resolved by 1) covering more types of property and 2) covering property from more perils. Property coverage evolved gradually over the course of the 20th century, as is laid out nicely by Hal Weston in a recent post. In 1900, the typical policy covered the dwelling from fire. Typical residential policies today cover additions, appurtenances, and a wide swath of unscheduled personal property. The property, moreover, is protected against a wide variety of perils. However, limits to expansion appeared in the second half of the 20th century. 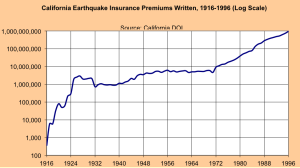 The introduction of the Supplemental Contract and the Extended Coverage Endorsement in the second half of the 19th century, followed by the spread of multi-peril policies in the 1950’s, all seemed to point to the integration of flood and earthquake coverage at some point down the road. Yet the integration never materialized. Residential flood insurance was essentially taken over by the federal government with the National Flood Insurance Act of 1968. With earthquake coverage, the story is a bit more interesting. 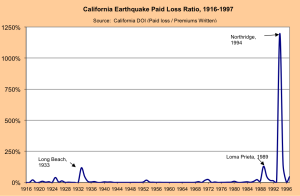 Although the private market in California had stagnated for decades leading up to the San Fernando Earthquake of 1971, the 1970’s and 1980’s were a period of spectacular growth. 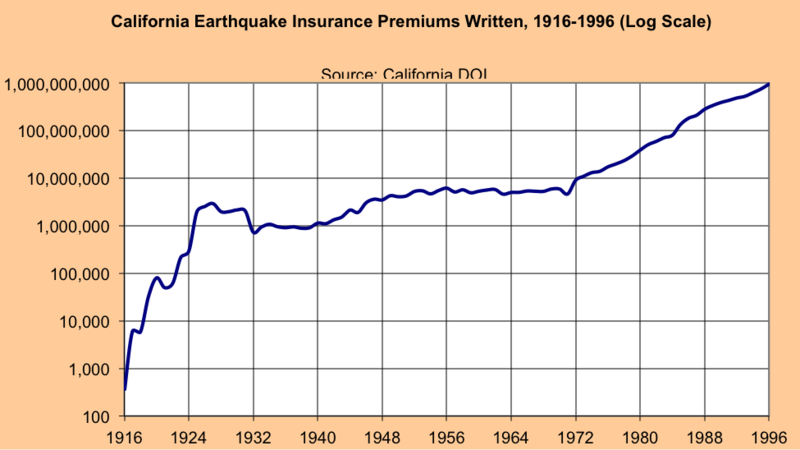 By 1994, on the eve of the Northridge Earthquake, about 1/3 of California households had private earthquake coverage. The losses in Northridge shocked the industry, prompting a retreat that culminated in the creation of the California Earthquake Authority in 1996. The aftermath of the reorganization of the earthquake market following the entry of the CEA is well known. 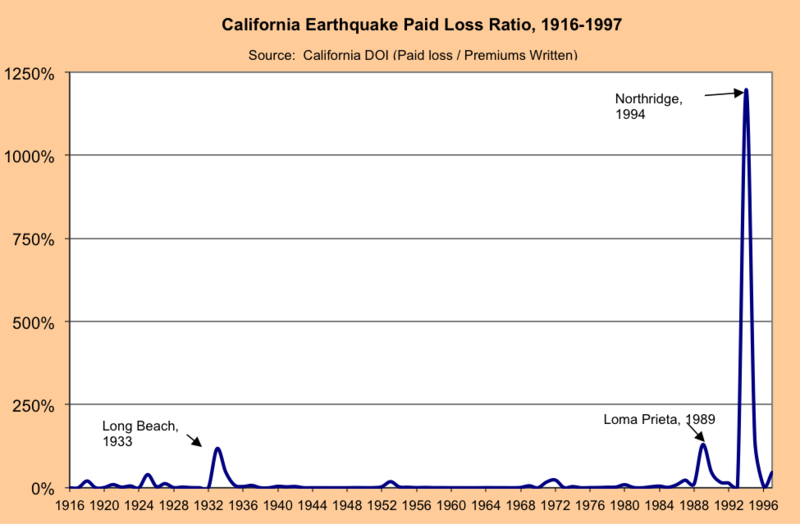 Participation rates plummeted as earthquake policies were “renewed into” the CEA by its partner companies, leading to the situation today where only about 10% of Californians homes are covered (according to data from the California DOI, which may exclude coverage purchased in the E&S market). A major reason why people forego catastrophe coverage is that they can. The mortgage finance system in the U.S. typically does not compel the residential borrower to purchase earthquake insurance. The same is true outside of Special Flood Hazard Areas (SFHAs) in flood insurance. A study by RAND revealed that about 50% of properties inside SFHAs carry flood insurance, while only about 1% in lower risk areas have policies. Internationally, approaches to catastrophe coverage vary substantially, underscoring how important public policy is in determining the industry role. In the U.K., lenders typically require flood insurance, and insurers provide the coverage in residential policies—leading to a takeup rate of 95%. In Germany, on the other hand, flood insurance is voluntary and takeup is only 10% (see Erwann Michel-Kerjan (2011), “Covering the Cost of Natural Devastation,” The Australian, January 17, 2011.) It is not surprising, then, that the role of insurance has varied dramatically in recent disasters across the world. To illustrate, in “Lessons from Recent Major Earthquakes” (2012), Swiss Re noted extreme variation in the extent of insurance coverage in recent earthquakes—ranging from 1% of total losses in Haiti (2010) to 17% in Japan (2011) to 80% in New Zealand (2011). Policy choices can thus have a profound impact on whether people have insurance against catastrophes, and whether they get their insurance from public or private entities. It is hard to say which way the policy winds are blowing however, when it comes to forecasting the future role of the insurance industry in the U.S. At the federal level, there are some indications of movement toward a greater role for the private sector in catastrophe insurance programs. The 2007 renewal of the Terrorism Risk Insurance Program increased the extent of private risk-bearing; and the Biggert-Waters Flood Insurance Reform Act of 2012 mandates study of the question of privatizing the National Flood Insurance Program. On the other hand, at the state level, there are indications of an increasing government role in the insurance markets: Both California and Florida have sponsored institutions to serve as catastrophe “insurers of last resort” in the last 20 years. Perhaps most importantly, the implicit federal role in disaster insurance has risen dramatically over the past few decades, as evidenced by the massive levels of ex post assistance granted to victims of the September 11 attacks and Hurricane Katrina. Changes to mortgage and credit regulations could have a profound impact. Borrowers are not generally required to carry earthquake or flood coverage (outside of SFHAs), yet it is not immediately obvious why these threats to housing collateral are so different from windstorms that they should receive different treatment. Indeed, a major earthquake in a region with depressed home prices could force a rethink of the default risk associated with earthquakes. This has happened before with condominiums: Freddie Mac noted changed its underwriting criteria on individual units of multi-unit structures after a wave of defaults following the Northridge Earthquake. A similar aftershock in the single-family market would have much deeper impact. Even if a change in demand were in the offing, it is an open question how much of the catastrophe insurance market will remain in private hands. The government is the ultimate underwriter of tail risk in many situations where catastrophe insurance is mandatory, such as France. Closer to home, Florida now underwrites 27% of personal residential insurance premiums in the state through its residual market (see the Florida Catastrophic Storm Risk Management Center’s “The State of Florida’s Property Insurance Market,” released in 2013.) On the other hand, interventions can be structured to leave private underwriting intact: After the September 11 attacks, the shock to the terrorism insurance market was resolved with a federal backstop that left most of the terrorism risk flowing through private underwriters rather than a public one. In summary, a key—probably the key—determinant of the US insurance industry’s role in covering catastrophes will be government policy in insurance and credit markets. Whether policy changes will be a boon or a bane for industry business volumes remains to be seen. 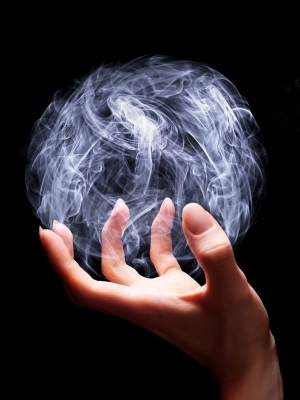 With respect to industry risk portfolio, government can make risk disappear … or reappear.